Afterthoughts Video specializes in video editing, video filming and dvd production. In addition, we are very capable at media conversions from one format to another, photo scanning and restoration. We’re able to take your digital or scanned photos and create fun to watch slideshows set to music of your choice against moving backgrounds. Watch your pictures come to life. Many of our customers hire us to digitally film their events, such as a wedding, quinceanera, or other special event and edit the footage producing enjoyable, fun to watch video on DVD of the entire event. We can provide up to four camera angles, with high quality standard and high definition cameras. We use only the best digital editing, special effects and titling software, including Apple Final Cut Pro, Motion, Boris FX and more. Usually as a prelude to a wedding, or other life celebration, we can take your family photos and videos and create a life history, complete with music of your choice, that compliments the time period of the life being celebrated. Many couples show their life histories during their wedding receptions. Other families choose a life history of a loved one that’s passed, to show to friends at a funeral. If you have old family videos on VHS or Betamax tapes or old 8mm or 16mm film, it’s time to get these converted to digital. They will only lose quality and become more brittle as they sit. We can take almost any non digital format and turn it into digital. Please ask if you have a question. Afterthoughts Video can convert any non-copyrighted video you own to the new iPod Video h.264 or MPEG-4 formats for use on the web or your portable video device such as iPod Video, iPod Touch, and iPhone. 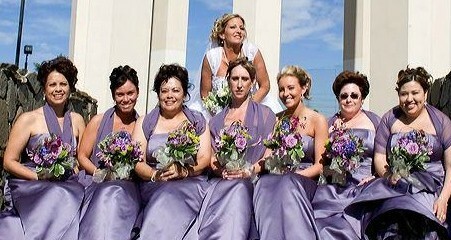 Show your wedding, presentation, or other event off on your new iPod Video. (iPod not included). We have an advanced media presentation system available to rent for presentations or events, which includes a Bluetooth and Wireless internet enabled Macbook, external 15″ flat panel display, 2000 lumen Epson Projector, Bluetooth wireless keyboard and mouse. The Mac Mini can play nearly any type of video, QuickTime, Real, or Windows Media, in addition to DVD and Video CD. It also includes Microsoft Office, Apple Keynote, and the Full Apple iLife Suite, including iPhoto, iDVD, iMovie and iTunes. It all comes packaged up in separate cases on a cart with wheels. A presentation can be as simple as importing your photos into iPhoto and clicking to play a slideshow, choosing your own music from iTunes. We can publish to tape, DVD or the web. 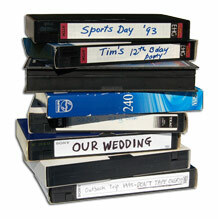 We can also convert any of your old taped footage to digital and save to DVD to preserve your memories. We can also edit any of your own footage, or photos, to include them in your project.